Today on the Houston Chronicle website (which I refuse to mention) there is a report about a trucker who caught and killed a burglar who was breaking into the trucker's 18-wheeler. The incident took place in northeast Houston. Among the many comments posted was one by OldBill from Katy. The Chronicle, in their infinite wisdom, deleted OldBill's comment but not before I cut and pasted/saved it. Are you a liberal, a conservative, or a Southerner? You're enjoying a peaceful evening with your wife and two small children. Suddenly, a burglar with a huge knife crashes through the door, locks eyes with you, screams obscenities, curses you, raises the knife, and charges at you. You have mere seconds before he reaches you and your family. 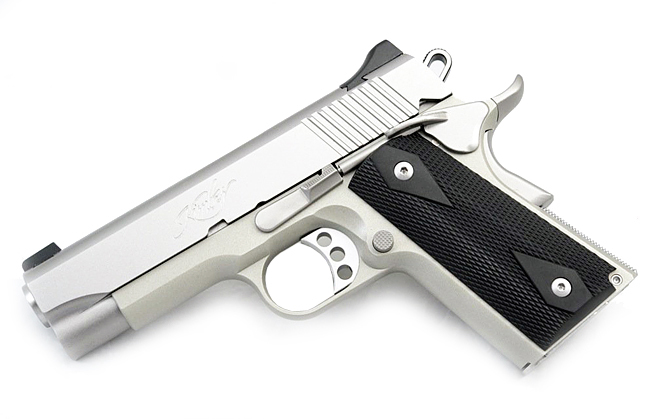 You have just finished cleaning and reloading your Kimber 1911 cal. 45 ACP, and you are an expert shot. Well, that's not enough information to answer the question! Does the man look poor or oppressed? Have I ever done anything to him that would inspire him to attack? Could we run away? What does my wife think? What about the kids? Could I possibly swing the gun like a club and knock the knife out of his hand? What does the law say about this situation? Does the pistol have appropriate safety built into it? Why am I sitting here with a loaded gun anyway, and what kind of message does this send to society and to my children? Is it possible he'd be happy with just killing me? Does he definitely want to kill me, or would he be content just to wound me? If I were to grab his knees and hold on, could my family get away while he was stabbing me? Should I call 9-1-1? Why is our street so deserted? We need to raise taxes, have paint & weed day. Can we make this a happier, healthier street that would discourage such behavior. I need to debate this with some friends for a few days and try to come to a consensus. This is all so confusing! Wife: 'You ain't taking that to the Taxidermist!